‘How was your performance today?’ I could be asking a teacher, a driver, a stockbroker or a lover. 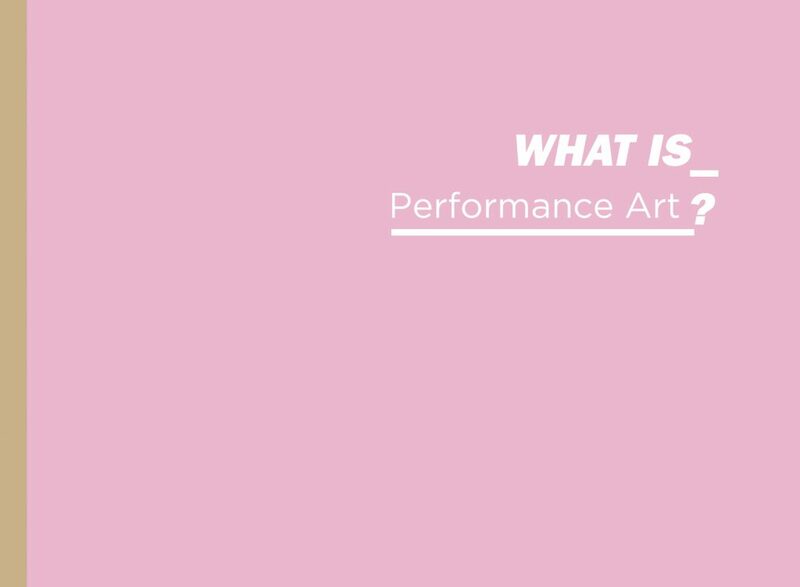 ‘Performance’ is a recurrent term within today’s general lexicon, yet practitioners and theorists in the field of Performance Studies disagree as to what constitutes this nebulous art form. In the context of the contemporary art world it allows us to suggest a practice full of paradoxes, wilfully refusing to be fenced in. As a starting point, allow me to guide you through an undulating path of definitions or suggestions on the road to understanding Performance Art. I will not be directing you towards a signpost marked ‘Performance Art’ because there is no such thing. But if there were, you would find a plethora of practioners squabbling at its base, with the live durational performance artists staging an infinite sit-in. Performance is an ‘essentially contested concept’.1 Practitioners and theorists occupy this space of disagreement, allowing the field to unfold and incorporate a multitude of practices. Amelia Jones explains that “Body art and performance art have been defined as constitutive of postmodernism because of their fundamental subversion of modernism’s assumption that fixed meanings are determinable through the formal structure of the work alone.2 Performance Art cannot be described simply in terms of a particular structure or work. All forms and media are at the artist’s disposal. Santiago Sierra’s work Veterans of the Wars of Northern Ireland, Afghanistan and Iraq facing the corner, 2011 at the Manchester Gallery of Art simply installed a performer in a bare room for seven hours a day over nine days. Pauline Cummins and Louise Walsh collaborated on their 1992 Sounding the Depths video, photographic and sound installation, projecting mouths onto each other’s bodies; proclaiming bodily ownership amid this turbulent period of lack of control over Irish women’s bodies. Indeed, Performance Art cannot be said to stem from any one particular discipline: theatre, dance or the visual arts. London’s Live Art Development Agency describe Live Art as ‘a gene pool of artists, whose work is rooted in a broad church of disciplines, they have crossed each other’s paths, blurred each other’s edges and, in the process, opened up new creative forms.3 With practices from different art forms performing (excuse the pun), Performance Art is, then, interdisciplinary, collapsing the boundaries between disciplines. This essay, however, focuses on performance .in the visual arts, a practice ubiquitous in the contemporary art world. Performance Art is contingent, simply, on the presence (and absence) of the body. The body, site, audience and time are its four pillars, with corporeal action the central axis. Artists turned to the physical body and brought an ‘aliveness’, a temporality and instability to artworks. Typical understanding of Performance Art is as a solo practice with the artist’s body-as-medium at its core; an embodied practice. But the practice may also incorporate other bodies: performers and audience members. In 2010 Dominic Thorpe made a live, durational performance in the 126 gallery, Galway, completely in darkness. Redress State, Questions Imagined gave the audience small torches to illuminate the darkened performance site as they wished, engaging the viewer in an auditory, sense experience. Thorpe’s removal of one of our senses refocused our experience of his work into a physical, embodied one. Performance Art, from its beginnings, occurred in both alternative and formal locations. Site is a potent element in the framing of the work. A work of live performance on the street will have a distinct reading to one viewed in a gallery context. Indeed a performative video or photograph shot on the street has a different interpretation to one shot in a studio. This essay is littered with examples of live performance works with the site listed as a significant element to the manifestation of the works. Chris Burden, Shoot, 1971. Burden walked into F Space gallery, California and had himself shot in the arm. Marina Abramovic /ULAY, Rest Energy, 1980, ROSC ’80, Dublin. A bow and arrow is held taut by the performers’ body weight, the arrow pointed directly at Abramovic’s heart. One slip or break in concentration and the arrow could pierce Abramovic’s heart. Franko B, I Miss You!, 2002, Tate Modern. Franko walked up and down a catwalk, bleeding from the veins in each arm, painting the canvas-covered floor with his blood. Dennis Oppenheim, Reading Position for Second Degree Burn, 1970. A photographic work in two parts. Oppenheim lies on the beach, firstly with a book over his chest and latterly without the book, displaying evidence of sunburn with the shadow of the absent book. Joseph Beuys, Bureau for Direct Democracy, 1972. A live performance. Over the 100 days of Documenta 5, Beuys invited the audience to engage in conversation with him on democracy and politics. Pipilotti Rist, Ever is Over All, 1997. A performance to video. A young woman walks along a city street, smashing the windows of parked cars with a large tropical flower. The Performing Arts refers to theatre, dance, opera and the circus. Cultural anthropologist Victor Turner made a key distinction between Performance Art and the Performing Arts when he declared Performance Art as: ‘making, not faking’.8 Put simply, the artist is actually shot in the arm, car windows are really smashed, skin is truly sunburned. These are not illusions but actual bodily experiences. In http://www.imma.ie/en/page_212496.htm#008the 1970s, Performance Art stood in direct opposition to theatre. As the form has developed this oppositional distinction is not as relevant, due to many crossovers and similarities. Is the Performance Artist acting? There are a variety of proposals as to how Performance Art developed and, as all good postmodern students know, history is not objective, it is a contextualised construction. 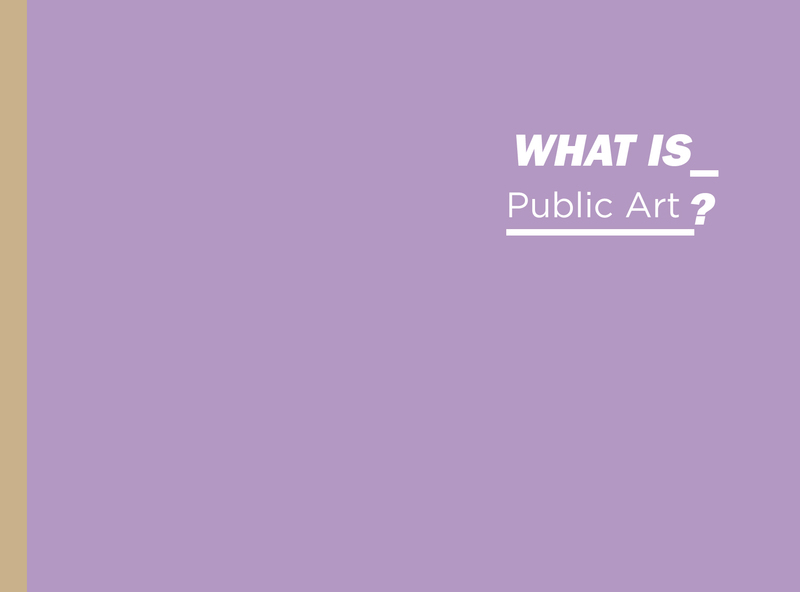 From the perspective of a practitioner in the field of performance from the visual arts, allow me to sketch the relatively brief history of Performance Art. Looking at this from the globalised world of the twenty-first century, it is informative to note that in the days before the multifarious biennials and blockbuster exhibitions criss-crossing the world there was a proposal suggesting two clear branches of practice. Gale cites a foundational figure in each location: Vito Acconci in Canada/US and Joseph Beuys in Europe. Performance emerges from the history of theatre and begins as a counterpoint to realism. Performance emerges from the history of painting and gains its force and focus after Jackson Pollock’s ‘action painting’. McEvilley’s reference to painting as a springboard for Performance Art resonates in Harold Rosenberg’s watershed 1952 essay, ‘The American Action Painters’, illustrating a turn in practice; ‘… what was to go on the canvas was not a picture but an event […] The image would be the result of this encounter.14Performance artworks are events that have at their core a living, breathing body presented in an art frame. Hans Namuth’s 1950 documentary film of Jackson Pollock at work is also influential, aligning the medium of film with an artist’s action. Performative practice is extant in the contemporary art world. At a cursory glance we can cite Matthew Barney’s mammoth Cremaster series and Cindy Sherman’s Untitled Film Stills, with the artist taking on different guises, staging (or performing) images of feminine stereotypes. Looking at this trajectory it is interesting to note that even from its emblematic period, performance practice was not contingent on the presence of a live audience. Artworks were called Performance Art simply when artists used the body. Performance Art — live or mediated presentation? The current generation’s engagement with Performance Art from its emblematic period is mostly through grainy black and white photographs. These images themselves become iconic references to influential works, and are unavoidably dislocated from the context of their live presentation. They live bound up in the mythology of the event. It is the re-presentation of these ephemeral events that excites; the absent made present, the disappeared reappearing in the form of photography, video and stories. Alanna O’Kelly made her 1995 live performance Omós in St Mary’s Abbey, Dublin. In the darkly-lit twelfth-century chapel, O’Kelly’s feet and calves were illuminated as she ran on the spot. The hairs on her legs stood out, the sound of her breath audibly taxed. I did not witness this live performance and have only seen fleeting video documentation of it, but it lives in the annals of Performance Art folklore. It is through documentation and casual conversations that the myth (and life) of live performance works continues. Phelan’s seminal essay focuses on the ‘manically charged’ present of a live performance. This ‘presentness’ of both performer and spectator calls for, in Phelan’s terms, the active participation of the audience in the liminal space of live performance. The audience become interpreters or co-creators when experiencing live performance; the emancipated spectator that philosopher Jacques Rancière writes of. This spotlight on the relationship between the live performer and live audience refocused discussion about Performance Art to its liveness and its relational bond with the audience. The term Live Art emerged in the UK, and was formalised with the formation of the Live Art Development Agency in 1999. Live Art centres on the temporality and ephemerality of Performance Art in its widest sense. Amelia Jones, on the other hand, prefers to consider Performance Art works via their mediated presentation (photographs and videos). She opts to refer to the works as Body Art rather than Performance Art and claims the viewer can also have this performative relationship with an image from a performance work.17(Here we are challenged by the multiple contemporary uses of the term ‘performance’. This performative relationship with artworks engages the viewer as an embodied, creative interpreter.) The mediated document, Jones claims, is equally as valid as the live performance and indeed is more neutralised and set apart, allowing the viewer to consider it outside of the manically charged present of live performance. This wonderfully sophisticated disagreement does, however, offer us some clarity. With Phelan’s declaration of the ‘presentness’ of Performance Art and the emergence of the term Live Art on the one hand, and Jones’ subsequent hypothesis and focus on mediated works/documentation — Body Art — we may glimpse the possibility of a distinction in modes of presentation, all of which come under the umbrella term Performance Art. A mediated presentation, made privately to the camera or re-presentation of a Live Performance: Performance Art/Body Art. Ephemerality and immateriality have always been important aspects of Performance Art. For some practitioners in the 1960s and ’70s this immateriality was a form of protest directly against the art market. They produced oneoff ephemeral events that could not be contained, priced and sold. In the contemporary era of service industries and commodified events, this political stance against the art market is especially complicated. But can we have it all? Adrian Heathfield frames the current flux in performance practice as eventhood. ‘Eventhood allows spectators to live for a while in the paradox of two impossible desires: to be present in the moment, to savour it, and to save the moment, to still and preserve its power long after it has gone.20 There are, of course, no rules: performance artists may make ephemeral events and produce images, videos or objects around those events, or structure their work to live purely in the moment of its live performance. Heathfield’s distinction suggests that the detritus and documentation of live action functions as a relic of an event passed into memory but, as Jones asserts, these subsequent performative artworks hold their own potency independent of the live moment. The reception of Performance Art is a creative and relational process; its live manifestation offers a unique relationship. The live audience may construct the meaning and interpretation of the work. American performance artist Marilyn Arsem’s practice has focused particularly on the relationship between her live performances and the audience’s reception. Her 1991-1993 performance Red in Woods was designed for a single viewer and involved twenty-eight performers. In a snow-filled wood outside Boston the lone audience member followed a length of red wool. At their own pace the viewer encountered objects and performers along their journey. ‘Each person’s understanding of the performance was unique, coloured by her or his own concerns, undiluted by anyone else’s perspective.’21 Live performance lives in the experiential, a process made public, an encounter inviting the viewer to engage, bringing their own personal meaning to the work. An exciting and potent part of live performance is the mythology that develops around a one-off temporal event; the creative reverberations that come from the audience. Art writing plays an important role, from the formal essays and reviews to the social media forums such as blogs, Facebook and Twitter, where the audience’s transformative experience is communicated. The significance of Alastair MacLennan within Irish practice cannot be underestimated: a teacher in Belfast from the mid ’70s, MacLennan asks his audience to witness and co-inhabit the visceral territories he explores. In 1988 MacLennan made a seminal work, The Burn, in the shell of the building adjoining the old Project Arts Centre in Dublin. In an eight hour non-stop actuation (MacLennan’s term for his performance installations), he moved slowly around the burned-out shell of the building amid rubble and specifically placed objects, including pigs’ heads and burned-out flags, electrifying the sitespecific installation with the human body. Another important point of reference is Brian O’Doherty/Patrick Ireland’s performative stance in response to the political situation in Ireland. In 1972, O’Doherty changed his name to Patrick Ireland in a ritual performance, again at the Project Arts Centre, in protest against the Bloody Sunday massacre in Derry. He vowed to sign all of his subsequent artworks as Patrick Ireland. In 2008 O’Doherty buried Patrick Ireland in a Live Performance in the grounds of IMMA in recognition of the progress of the peace process. Samuel Beckett’s late plays, Not I, That Time and Breath, ‘exist somewhere between installation and poetry, their strict aesthetic bringing the meditative rhythms of visual art into performance.’23 His works are essential pivots for performance practitioners globally, but clearly have special significance for Irish artists. Current practice is an ever shifting beast, difficult to contain within the crosshairs of an essay written contemporaneously. Nevertheless, Performance Art currently stands at a particular moment of evolution. As collections around the world attempt to reflect and collect performance works, there has been some significant examination into methods of extending, capturing and archiving the ephemerality of performance works both in theory and in practice. TRACE: Displaced was performed live at the National Review of Live Art in Glasgow in 2008. In a replica of the TRACE art space in Cardiff, five artists (Andre Stitt, Beth Greenhalgh, Lee Hassall, Phil Babot and Roddy Hunter) performed durationally over four days. On a table outside the installation, Heike Roms made a live documentation of the live performance using Post-it notes, polaroids and typed sheets of paper. At one point she noted one of the performers making an action in the centre of the installation — the site, she noted, in the gallery in Cardiff that Northern Irish artist Brian Connolly had buried his time capsule during his 2002 live performance Initiate. Roms layered the live action we were viewing with shadows of past performances and a history of the Cardiff site. Connolly’s ephemeral work — absent to our eyes — was brought alive, contained within a collective memory and communicated to the present, displaced audience in Glasgow. Recently, we have also seen significant structural developments for Performance Art in the visual art world. In 2009 the Museum of Modern Art (MoMA) in New York appointed their first Curator-in-Chief for Performance Art, and the Whitworth Gallery, Manchester cleared its permanent collection and installed fourteen durational performances for a three-week exhibition.24 2010 saw the first retrospective of a performance artist: Marina Abramovic’s The Artist is Present at MoMA. Galleries and museums are currently opening their doors to live Performance Art, either ‘eventing’ an exhibition or making exhibitions centred on Live Performances. This development opens the white cube to a messy unpredictability. Live performance is often a chaotic beast, with the collision of the fluctuating unknowns of action, site, time and audience. Part of the excitement of anything witnessed live is this tantalising unknown; each iteration of a live performance is unique and unrepeatable. Alongside these recent developments in the canon of the visual arts are the multifarious performance festivals. In many countries around the world significant festivals of Performance Art show a wide range of Live Performances over concentrated periods of time. The National Review of Live Art in Glasgow, set up in 1979, is one of the longest running festivals of Live Art in the world, showing a variety of Performance Art practices. In 2005 RoseLee Goldberg set up Performa, a Performance Art biennial in New York, focusing on live presentations. In 2001 IMMA hosted the performance event Marking the Territory. Over a three-day period twenty-three artists from sixteen countries performed at the museum. Live Performance can happen anywhere, at any time, for any duration. Bbeyond, the Northern Irish performance collective, perform regularly on the streets of Northern Ireland — often unannounced but sometimes framed within an arts festival — making dynamic interventions in public spaces, outside galleries or cultural institutions. Abramovic, on the other hand, performed live in the cathedral of contemporary art, MoMA, New York in 2010 for three months. Strine, Long and Hopkins in their 1990 survey article ‘Research in Interpretation and Performance Studies: Trends, Issues, Priorities’, cited in Dwight Conquergood, ‘Of Caravans and Carnivals: Performance Studies in Motion’, TDR, Vol. 39, No. 4, Autumn 1995, pp. 137- 141. Also see Marvin Carlson, ‘What is Performance?’, in Henry Bail (ed. ), The Performance Studies Reader, London: Routledge, 2004. Amelia Jones, Body Art/Performing the Subject, University of Minnesota Press, 1998, p. 21. Live Art Development Agency, London, http://www.thisisliveart.co.uk/about_us/what_is_ live_art.html(accessed 11/5/2011), The Live Art Development Agency 2009. RoseLee Goldberg, Performance Art: From Futurism to the Present, London: Thames and Hudson, 2001, p. 9. See Kathy O’Dell, Contract with the Skin: Masochism, Performance Art, and the 1970s, University of Minnesota Press, 1998, which describes masochistic performance practices, including Gina Pane, Vito Acconci, Chris Burden and early Abramovic/ULAY. See Peggy Phelan, ‘On Seeing the Invisible: Marina Abramovic’s The House with the Ocean View’, Milan: Charta, 2003. Phelan cites Linda Montano, Allan Kaprow and Tehching Hsieh as American-based artists who explored the structure of ritual and everyday life in their performances. Richard Schechner, as cited in Mike Pearson, ‘Theatre/Archaeology’, in TDR, Vol. 38, No. 4, Winter 1994. Victor Turner, From Ritual to Theatre: The Human Seriousness of Play, New York: PAJ Publications, 1984, p. 93. See Rachel Zerihan, ‘Revisiting Catharsis in Contemporary Live Art Practice: Kira O’Reilly’s Evocative Skin Works’, in Theatre Research International, Vol. 35, No. 1, pp. 32-42. Josette Feral, ‘Performance and Theatricality: The Subject Demystified’, in Modern Drama, Vol. 25, 1982, p. 179. A. A. Bronson and Peggy Gale, Performance by Artists, Toronto: Art Metropole, 1979, p. 1. Thomas McEvilley, Stages of Energy: Performance Art Ground Zero?, as cited in Peggy Phelan, ‘On Seeing the Invisible: Marina Abramovic’s The House with the Ocean View’, Milan: Charta, 2003, p. 174. Harold Rosenberg, ‘The American Action Painters’, in The Tradition of the New, originally in Art News 51/8, December 1952. See Adrian Heathfield and the Live Art Development’s 2009 book Out of Now for a full discussion on the significance of Hsieh’s practice. Peggy Phelan, Unmarked: The Politics of Performance, London: Routledge, 1993, p. 146. See Amelia Jones, Body Art/Performing the Subject. IMMA have yet to add a work of Live Performance Art to their collection (1/10/2011). Jon Erickson, ‘Performing Distinctions’, in PAJ: A Journal of Performance and Art, Vol. 21, No. 3, September 1999, p. 101. Adrian Heathfield, Live: Art and Performance, London: Routledge, 2004, p. 9. Marilyn Arsem, Red in Woods. See www.marilynarsem.net (accessed 23/7/2011). Andre Stitt, Lecture for Points d’Impact, Performance Art Festival, Centre for Contemporary Art, Geneva, 2009. Alison Croggon, Review of ‘Beckett’s Shorts’, Theatre Notes, 23 April 2009 (Web accessed 27/5/2011). Marina Abramovic Presents … at the Whitworth Gallery of Art, Manchester, 3-19 July 2009. Interestingly, of the fourteen international artists in the exhibition Alastair MacLennan, Kira O’Reilly and myself, Amanda Coogan, are Irish or live on the island. See http://www.thisisliveart.co.uk/about_us/what_is_live_art.html(accessed 11/5/2011). The Live Art Development Agency 2009.